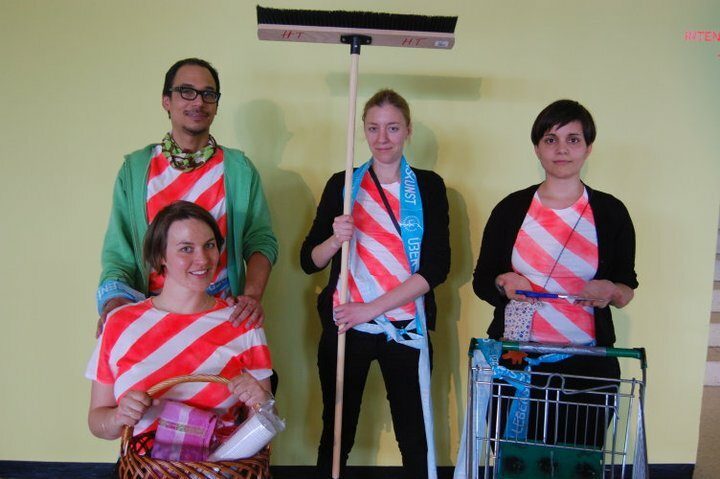 Process Institute founded itself as an artist collective as a solution to supporting public practices, working without a permanent space or consistent support systems. If temporality & mobility are the contemporary answer to sustain culture, we need to initiate an invested exploration of the possibilities of this phenomenon. “How to exist” posed concrete questions of how to parasite spaces, collaborate with other institutions, and what kind of infrastructures are needed in contemporary art-production, as well as exploring more deeply the issues of adaptation, appropriation, migration, and how to remain rooted while mobile. For the 4-week residency of “How to exist” we used the Art Transponder space as an office to establish its common mission in a conscious approach to collaboration. Networks of working structures with similar approaches were explored through a series of interviews and an archive of the results was compiled. The mobile office was developed and tested as a mobile research platform for an active, grass-roots artistic practice. Our main aim is to use the collective as a platform for investigations, project developments, public space appropriations and insertion into specific contexts relating community, everyday living, social and spatial possibilities, and fostering public creativity.